I am really struggling with the cold already, so I am looking at ways to get my house as cosy as possible! For many houses the bathroom can be quite a cold room if not done correctly. I dread needing to go to the bathroom because it’s always freezing! 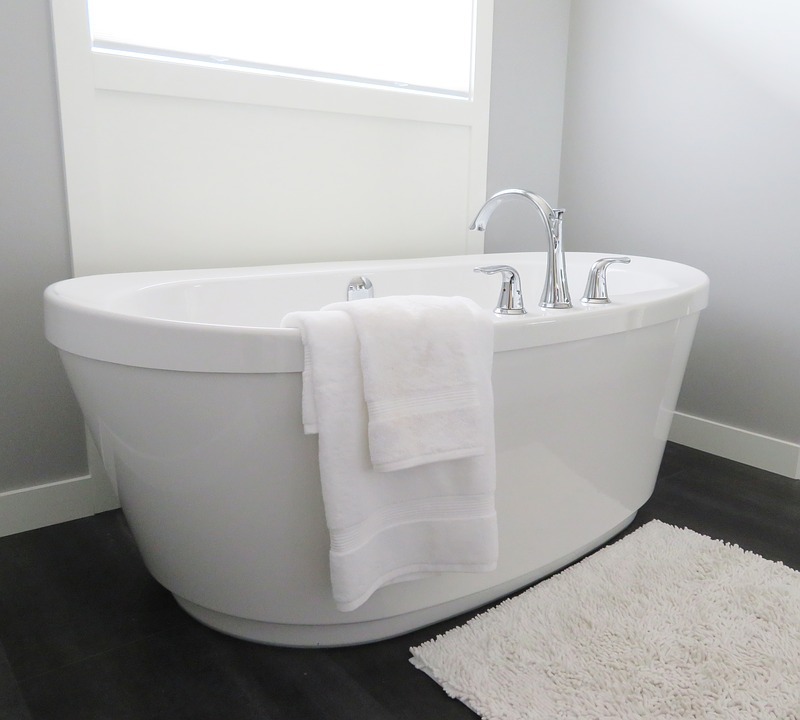 Here are some tips to warm up your bathroom so using it isn’t such an ordeal! I am going to be trying them myself, so I can survive winter. Old stone houses take a long time to heat so I need every trick in the book! If you have a towel rail like the ones available from Trade Radiators you can benefit from toasty towels the very moment you step out of your warm shower. We have added one into our new en-suite and pre-heating my towel is a luxury I am looking forward to enjoying! Nothing is worse than the cold draft you face when you leave the gorgeous warmth of a power shower. It’s almost enough to put you off washing in the first place! Try and incorporate different textures into your bathroom. It can add much more warmth than an expanse of all-white. You can do this with a wooden vanity or countertops or opt to have a rug to soften a tiled floor. It’s not just about making the room temperature hotter it is about giving the impression the room is warmer. All those little cues that tricks your body into thinking its warmer than it is! Make the most of any natural light if you can. If you don’t have a window, consider adding a skylight. Alternatively think about using artificial light that mimics the yellow tone of natural light. You don’t want the bathroom too clinical aim for light that is inviting and cosy. Bathrooms are often very white but if you want to create a warm space you need to think about the colour you choose to decorate with. These bathroom paint ideas will give you some inspiration. Aim for rich colours if you want a cosy bathroom like ruby, aubergine, and gold. It will look a lot less stark than all-white interiors. White might look clean but its not radiating warm is it? It’s good practise so don’t forget to bleed your radiators. Doing so will ensure heat distributes evenly and you stay nice and snug in your bathroom. Yes, it seems common sense but how often do you remember to do it? Fingers crossed these tips will mean your bathroom isn’t quite as cold this winter!